Ecuador is engaged in a nationwide drive to increase the use of hydroelectricity. 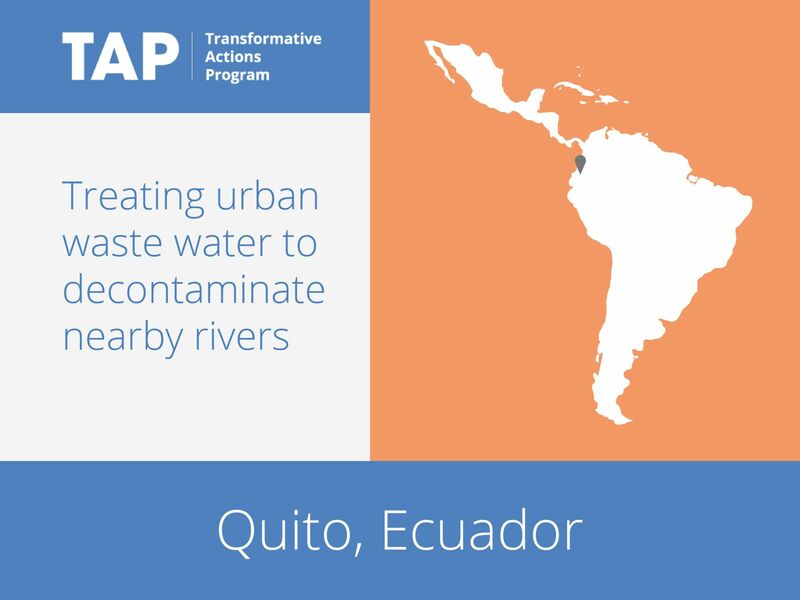 Quito is playing its part with a program that combines wastewater treatment with hydropower. The city will construct two wastewater treatment plants, treating sewage from poor areas of the city. Once treated, the water will be combined with water collected from new rainwater capture projects and will be sent through a 34-kilometer-long underground tunnel, which uses the natural topography to move the water. At various points in the tunnel, hydroelectric turbines will be installed, and the flow from the high volumes of water will generate clean, renewable energy for citizens.